Moriarti Armaments is proud to announce its partnership with MC Armor, Inc., a leading US manufacturer of Body Armor. Ranging from Ballistic Vests, Bullet Proof T-Shirts, Plates, and Trama Plates to protect our kids, MC Armor provides solutions for specialized personal protection through clothing and innovative products, created with a sole purpose of preserving a life from potential ballistic threats. All clothing meets high performance quality standards and has been submitted to rigorous testing to guarantee it's optimal performance. BALLISTIC RESISTANT TANK TOP LEVEL IIThe "Ballistic Resistant Tank Top" is a concealable vest designed to protect vital organs.Light weight (3.31 lbs) can be used for under-clothes. Tested and certified under the IIIA NIJ 0101.06 by the National Institute Of Justice of the .. BALLISTIC RESISTANT TANK TOP LEVEL IIIAThe "Ballistic Resistant Tank Top" is an is a concealable vest designed to protect vital organs. Thanks to its semi-light weight (3.31 lbs) can be used for under-clothes. 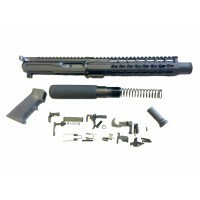 Tested and certified under the IIIA NIJ 0101.06 by the United States Depart.. 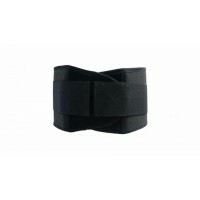 BALLISTIC TT BELT LEVEL IIIAThe ultimate ballistic and discreet protection to truly outperform. 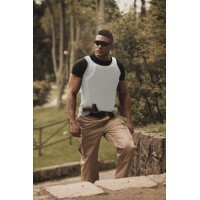 Inner Support with certified bulletproof sides to use under any concealable and outer vest, provides a greater stability and support, and an overlap system to cover bigger area of ​​protection. 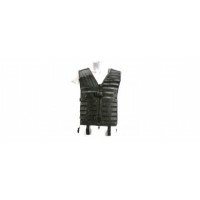 It a..
KEOPS ARMOR VEST LEVEL IIPadded waistcoat, 100% Polyester with discrete ballistic protection capable of stopping ammunition and keeping the person's vital organs safe. It has internal secret pockets that accept ballistic panels that can be removed at any time for cleaning and washing the garment.Thi..
KEOPS ARMOR VEST LEVEL IIIAPadded waistcoat, 100% Polyester with discrete ballistic protection capable of stopping ammunition and keeping the person's vital organs safe. It has internal secret pockets that accept ballistic panels that can be removed at any time for cleaning and washing the garment.T.. KID'S BACKPACK W/ BALLISTIC REMOVABLE INSERT PLATE - LEVEL IIIABallistic removable insert level lllA for MC Armor Bags for kids.Level: IIIAWeight: 1.65 poundsThickness: 0.33 inchesSize: Standar sizeLead Time: 2 weeksDimensions:PROTECTION LEVELMC Armor ballistic systems are tested for the level..
Tactical Vest by ME EquipmentStrait from battle fields of Ukraine. ME Tactical vest is a modular vest, features Molle attachment system. Can personalize with pouches necessary for the tasks. 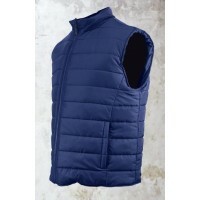 Vest features a wide range of adjustments for maximum comfort plus two hidden compartments for documents. 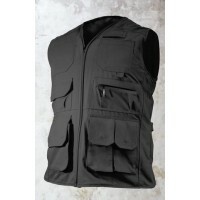 Off..
SAFARI ARMOR VEST LEVEL IIThe ultimate hunter vest. 100% Drill, Cotton and Fittings in leather Vest equipped with 100% discrete ballistic protection capable of stopping ammunition and keeping the person's vital organs safe. It has internal secret pockets that accept ballistic panels that can be remo..
SAFARI ARMOR VEST LEVEL IIIAThe ultimate hunter vest. 100% Drill, Cotton and Fittings in leather Vest equipped with 100% discrete ballistic protection capable of stopping ammunition and keeping the person's vital organs safe. 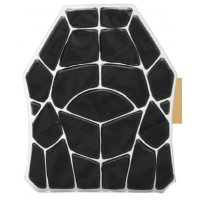 It has internal secret pockets that accept ballistic panels that can be re..
Light and compact Anti Trauma Flexible Panel Plates for Bulletproof Armor, with a compression system to assist the dispersion of energy from the impact force to reduce 25% less trauma compared to others.Manufacturer - MC Armor ..